I divide my year between Hong Kong and Brisbane, Australia. This Blog is about: shopping, especially bargains of the season (BOTS); home decoration and how let your family’s personality shine in a postage stamp sized ‘same, same, but different’ apartment; where to take visitors in Hong Kong; and life with Prince and Princess PTT. 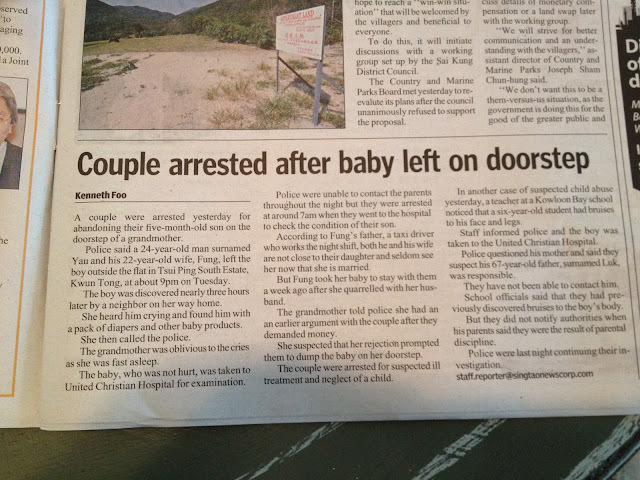 Just when I convince myself that Hong Kong is 'just like home' something in the local paper always makes me remember that we are not raising Prince and Princess PTT in Australia. Who needs live fillies to enjoy race frivoilities? Don't miss a Blog... follow by email! Brother PTT and Y come to town!